100% Hand Made All Natural Lavash Flat Bread. Pack of 3 (1 Lb Per Pack (3 Lbs Total). Kosher / Parve OU Certified. No Preservatives, No Sugar, No Cholesterol, Non GMO's. Lavash Flat Bread Is Great For Wrapping Kebab's, Shashlik, Grilled Meat, Cold Cuts, & Much Much More. Fast Free Shipping Only From Gourmet Market. 100% Hand Made All Natural Lavash Flat Bread. Pack of 3 (1 Lb Per Pack (3 Lbs Total). Kosher / Parve OU Certified. No Preservatives, No Sugar, No Cholesterol, Non GMO's. 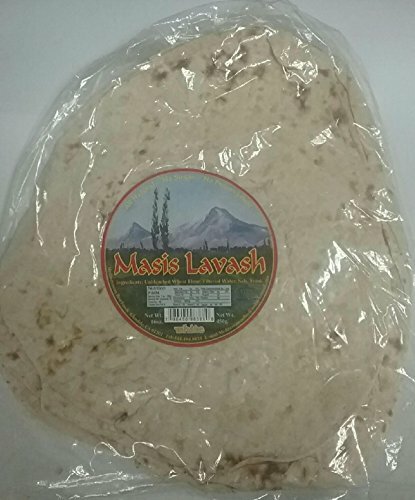 Lavash Flat Bread Is Great For Wrapping Kebab's, Shashlik, Grilled Meat, Cold Cuts, & Much Much More. View More In Packaged Breads. If you have any questions about this product by GM Bakery, contact us by completing and submitting the form below. If you are looking for a specif part number, please include it with your message.